Outback Landscaping understand that each of our customers posses a unique arrangement of landscape design and construction requirements and we work very hard to exceed your expectations for each project that we take on. We consider ourselves a one-stop shopping landscape design & construction firm that offers creative and custom-tailored solutions to our customers. We pride ourselves on our ability to form productive relationships with our customers. Communication is the key to our relationships with and meetings are held throughout and following the project to ensure the success and satisfaction from each element of the team. With Outback Landscaping, you will be provided with a full service owner and operated, well-equipped landscaping firm with more than 10 years of hands-on experience. We utilize modern equipment combined with extensive knowledge of local conditions and green building practices, which enable us to be one of the top-rated landscaping firms in the area. 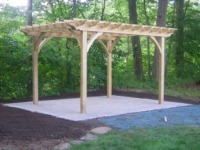 Outback Landscaping can make your landscaping dreams a reality with our custom design services. From new construction to existing landscape overhauls, we can design the perfect landscape to fit your needs and lifestyle. If considering a landscape project, you can contact us at anytime for a free consultation. We will be committed to providing a quality and long lasting outdoor living area for your home, which will continue to increase the value of your property. 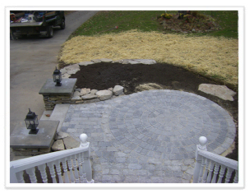 Breathe new life into your home property with Outback Landscape Design & Hardscape Services, LLC. Please give us a call today for a free estimate. We are more than happy to assist in any way we can and look forward to working with you. Copyright © 2016, Outback Landscaping & Hardscape Services, LLC. All rights reserved.